No, it’s not a trick question! However, many people who walk through our doors take an ostrich approach to estate planning and making wills. “I’ll get around to it tomorrow!” they say. Data from the US back in 2014 showed that 51% of Americans don’t have wills. 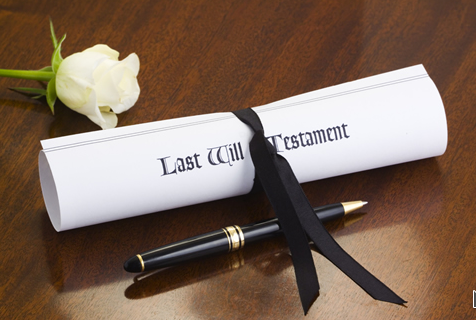 A report from the UK last year said 60% of people die without a written will. While we’ve found no such statistics for Ireland, they must be around the same. When a person dies in Ireland without a will, you die ‘intestate’. This means your estate is divided among family members according to the Succession Act. If you’re married, your spouse is entitled to your entire estate if there are no children. If you’re married with children, your spouse gets two-thirds and one-third goes to your children. If you are not married, your entire estate goes to your children. If a child of yours dies before you, leaving children, then those children take their parent’s share. If you do not have a spouse or children, your parents are entitled to your entire estate. If both parents are deceased, then your estate is divided between your brothers and sisters (if any brother or sister dies before you and leaves children, then those children (nieces and nephews) take their parents share). If you have no beneficiaries or no beneficiaries can be found, your estate revert to the State. The proceeds are lodged to the intestate estate funds deposit account. Figures published late last year showed that there is more than €2.4 million in unclaimed money in the State’s coffers from the estates of people who died and left no wills and no known beneficiaries! Make sure you protect your loved ones in the way that you want to when you’re gone – Make a will today. If you haven’t gotten around to making a will, take the time today to book in a call with us. It’s so important to know that when you die (and nobody likes talking about that), that your family is taken care of. Isn’t that enough to take your head out of the sand? Don’t leave your estate hanging in the balance. Contact us today by calling us, use the Immediate Callback facility to the right or email us drogheda@tallans.ie or ashbourne@tallans.ie.